Energy efficiency inside of your home or office is just one more way that you can help our environment. The amount of money you can save per year by tinting your windows is substantial, and there are even government incentives to do so! There are low interest loans and tax rebates available for anyone interested in upgrading their home or business to Energy Star compliance. Don’t let it wait another year. Get started today on saving your family hundreds ( or thousands ) of dollars per year on energy bills! Sierra Window Tinting is a solutions provider for energy efficiency, glass safety & security, graffiti and sun damage. According to the US Department of Energy, 75% of all windows are inefficient and account for the largest loss of money in a building’s envelope. With unprecedented amounts of financial incentives available there has never been a better and more affordable time to upgrade the efficiency of your property. Sierra Window Tinting can help. We offer free estimates and take the time to educate the customer regarding the options available to them and help them make choices that best suit their needs. 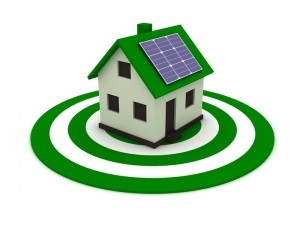 Our goal is to help our customers save energy and reduce costs, help our environment and go green. Contact us today for a free estimate. We are experienced in both commercial film applications and home window tinting. Our portfolio speaks for itself, and we are proud to have tinted some of the largest commercial and residential structures in the Reno / Sparks area. Tinting a large commercial building is not a job for the ‘little guys’. We have years of experience performing installations on some of the largest commercial buildings and projects in the state of Nevada. Unique to large structures are the enormous amounts of heat buildup and glare inside, both of which can cost businesses thousands per year in unnecessary energy bills. It’s always a good idea to thouroughly research any contractor before putting them to work on your home or office. We are proud members of the Reno / Sparks Chamber of Commerce and have an A+ rating with the Better Business Bureau. Over the last 20 years we have built a stellar reputation for providing on-time, on-budget professional window tint solutions for thousands of customers in Northern Nevada. A building can only be energy-efficient to the extent that its windows are energy-efficient. In summer, windows allow too much heat to enter, forcing cooling systems to work harder and making cooling costs climb. But in winter, they allow too much heat to escape, forcing heating systems to work harder and making heating costs climb. Most window replacements costs are far too high to deliver a reasonable return on investment (ROI). Let Sierra Window Tinting help you. EnerLogic’s patent pending low-e coating redirects solar and radiant energy back to their source… for energy savings in every season! When professionally applied to the inside surface of your existing windows as a microthin, ultra-powerful low-e window film, EnerLogic adds as much as 92 percent more insulating power to your window glass. Sunlight still enters, but harmful UV rays, discomforting heat and glare are substantially reduced. Window film promotes energy conservation and climate control, saving you hard earned money on heating and cooling costs. It also saves the interior of your business or home. Unlike many products that are installed, window films begin working for you without any additional cost or power. The state of the art films offered Sierra Window Tinting can reduce the heat in your environment by rejecting up to 85% of solar energy, 98% of infrared rays, and 99.9% of harmful UV rays. We only use the most respected and highest quality window film manufacturers for our installations. We work directly with the customer to provide information on the many choices available to them to insure the most reliable and long lasting results. On offer are films by renowned companies like Huper Optik, Llumar, Hunter-Douglas, Vista, Enerlogic, Madico, Panorama, Solar Gard and 3M. Sierra Window Tinting is the largest residential and commercial window tinting company in Northern Nevada. We offer only the highest quality window films for heat reduction and security issues. We’ve been serving the Reno / Sparks / Lake Tahoe / Carson City area for well over 20 years and have hundreds of satisfied cusotmers. Call us for a free estimate! All content herein Copyright©2015 Sierra Window Tinting. This site designed and maintained by ManzDesign Graphic and Web.